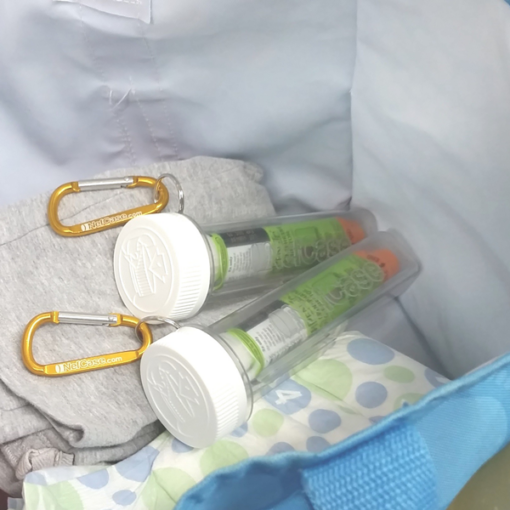 The case has a childproof cap to prevent young children from accidentally injecting themselves. 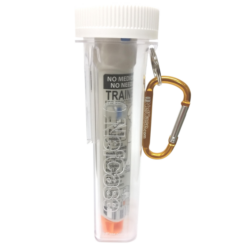 The NefCase is a hard plastic case for storing EPIPEN® auto-injectors and Jext® pens. The case has a childproof cap to prevent young children from opening the case and accidentally injecting the pen. Each NefCase holds one pen (does not hold the hard case supplied with the pen). 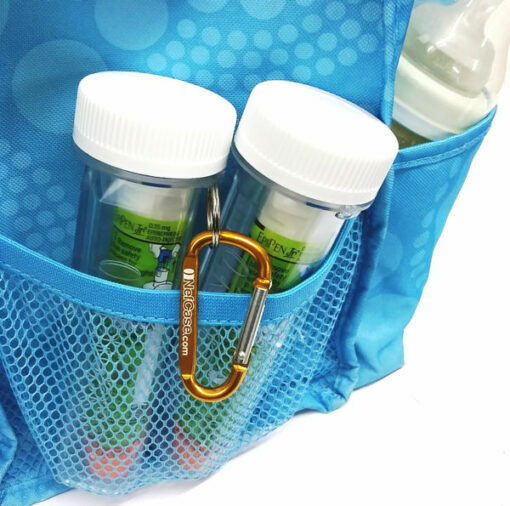 The case has a carabiner clip for attaching to bags and belts. 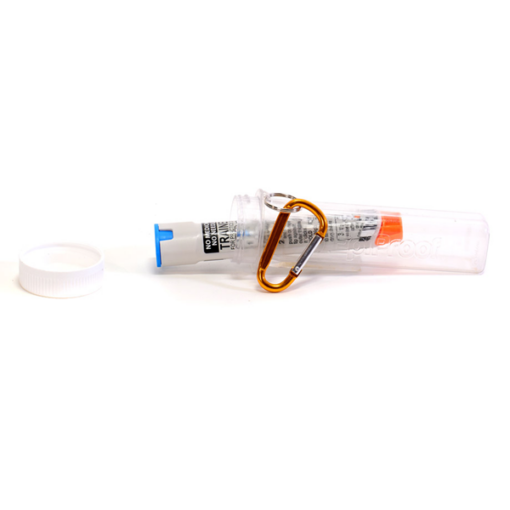 The NefCase was designed by an allergy dad and engineer after his 2 year old son easily took the blue safety cap off an EPIPEN® auto-injector trainer pen. 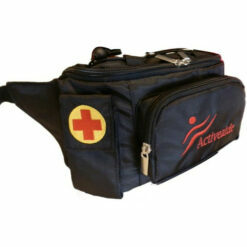 The NefCase is child resistant but easy and intuitive for adults to use. The press and twist cap is similar to the cap used on medicine bottles. The secure lid means that the case is waterproof too. The plastic case is robust and protects adrenaline pens. It’s also clear so the pen is visible in an emergency. Childproof, hard plastic case protects pens and prevents young children from opening. 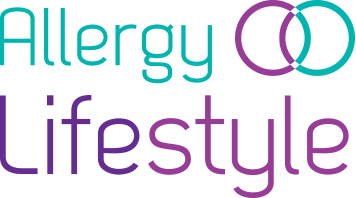 Holds one EPIPEN® auto-injector or one Jext® adrenaline pen (doesn’t hold the hard case supplied with the pens). Easy open for adults with a press and twist cap like the caps used on medicine bottles. Prevents kids from accidentally injecting themselves. Made from clear plastic so the adrenaline pen is easily visible in an emergency. Will not hold Emerade® or Anapen® adrenaline pens. 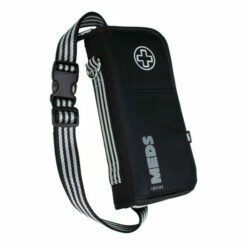 Does not hold the hard case supplied with the EPIPEN® auto-injector or Jext® adrenaline pen. Very happy with purchse of this case. It means my little boy can now always have Epi Pen on him at all times and I dont need to worry about other kids getting it and hurting themselves (tried to get small kids to open and couldn’t do). I treat this pen as a backup pen as all care providers have one each however if forgotten, used incorrectly or ends up with someone who doesnt have one then he will have one on him.